On Tuesday as part of their annual fantasy football marathon, ESPN ran a sketch that had everyone talking — and not in a good way. In short, they ran a sketch that portrayed white folks bidding on African-American players in an “auction.” Especially with everything going on in the country at the moment, this was definitely not the best move to make. 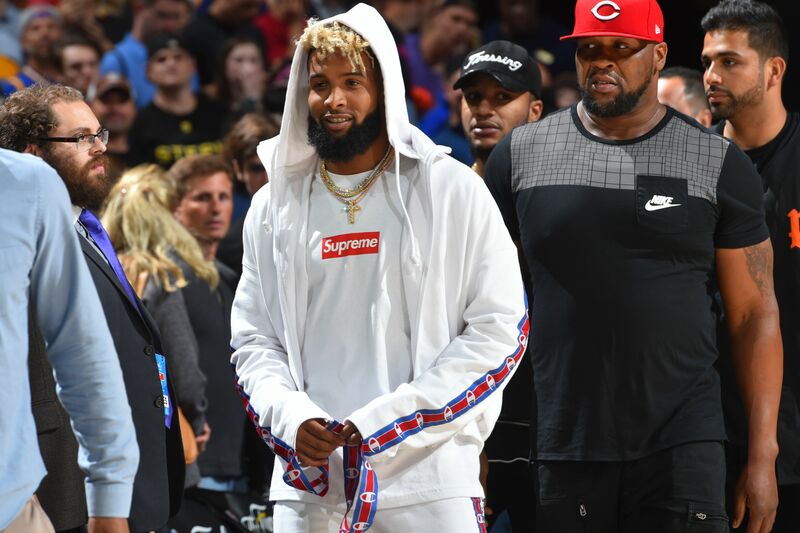 One of the players that was up for “auction” was New York Giants wide receiver Odell Beckham Jr. At the time, you had to be wondering what he though after seeing the sketch. Now we know. Someone on Twitter alerted Beckham to the sketch that took place on ESPN Tuesday, and well, he was a bit stunned, to say the least. He definitely made that known. Really, Beckham is just echoing the sentiment felt by a lot of people after the sketch was aired on television. Although, it hit much more close to home for the Giants wide receiver, seeing as he was the one being used in the segment. Later on in the day, in a statement released to The Big Lead, ESPN did apologize for the offensive segment, however, they sort of defended it at the same time. Still, this was just a bad overall decision by the folks at ESPN to let this segment air on national television, and hopefully in the future they’ll be a little more cognizant of their surroundings in the world while planning skits.